We commend the participants and presenters at the Special Commission for their hard work and dedication to bringing attention to the ethical and legal processes of adoption and to protecting children around the world. PEAR highly encourages adoptive and prospective adoptive parents to read the reports and educate themselves on the issues, realities, and myths surrounding intercountry adoption and the Hague. *Draft Agenda, The Special Commission on the practical operation of the Hague Convention of 29 May 1993 on Protection of Children and Co-operation in Respect of Intercountry Adoption. Intercountry adoption is not possible from Vietnam at this time. Adoption service providers and prospective adoptive parents should not seek or accept new (or potential) adoption referrals from Vietnam until an announcement is posted that the United States Citizenship and Information Service (USCIS) is again processing new I-600 or I-800 petitions for adoption in Vietnam. No such announcement is expected in the near future. In June 2010, the Vietnamese legislature passed a new adoption law scheduled to take effect January 2011. Vietnamese officials are now drafting regulations and procedures to implement this new law and achieve Vietnam’s stated goal of acceding to the Hague Convention on Protection of Children and Co-Operation in Respect of Intercountry Adoption (the Convention). Vietnamese law requires that in order for adoptions to resume from Vietnam, either a new bilateral agreement must be in place between the United States and Vietnam, or Vietnam must accede to the Convention. The United States recognizes these initiatives as significant developments in the renewed commitment by the Government of Vietnam to strengthen its child welfare system and the integrity of its domestic and international adoption process. Nevertheless, adoption service providers and prospective adoptive parents are cautioned that important steps must still be taken before Vietnam completes this reform process and before intercountry adoptions between the United States and Vietnam can resume. •Ensure that all required efforts for domestic placement have been fully met before a child is considered for intercountry adoption. Under U.S. law, if/when Vietnam becomes a party to the Convention, the United States Central Authority (USCA) must be able to certify that procedures leading to the adoption of a child in Vietnam would conform to the standards established by the Convention and the U.S. Intercountry Adoption Act (IAA). The USCA may not determine whether such a certification can be made until Vietnam has completed the accession process. For these reasons, prospective adoptive parents are warned not to enter into any agreement, implied or stated, regarding the prospective adoption of a child in Vietnam until such a time as the USCA determines that Vietnam’s process complies with the Convention and IAA, and USCIS has announced that I-800 petitions for Vietnamese children are being accepted for processing. The USCA cautions adoption service providers that they should not offer or appear to offer adoption services in Vietnam (other than for those transition cases still being processed under the former regulations) until specific adoption service providers have been accredited or otherwise approved by the Government of Vietnam. In addition, under applicable U.S. regulations, accredited or approved adoption service providers may only provide services in a Convention country if the USCA has determined that the Convention country is compliant with Convention standards. That determination cannot be made in relation to Vietnam until after its accession to the Convention. The United States welcomes Vietnam’s strong efforts to create a child welfare system and an intercountry adoption process that will meet its obligations under the Convention. Although the Government of Vietnam has proposed a timeline for completing the regulations and making a formal request to be recognized as a Convention partner, it is not possible to estimate when adoptions between the United States and Vietnam may resume. Updated information will be provided on http://www.adoption.state.gov/ as it becomes available. PEAR conducted a survey of Ethiopia adoptive parents and prospective adoptive parents from March 16, 2010 to April 16, 2010. The purpose of the survey was to identify possible areas of unethical practice and procedure in Ethiopian adoptions. PEAR’s intent in doing this was to use the data to recommend changes in the adoption process that will eliminate ethical concerns and protect the members of the adoption triad. PEAR thanks the respondents for providing process details so we can appropriately pinpoint areas for recommending improvements to the process. Numerous suggestions about the overall process, agency conduct, birthfamily contact and adoptive parent preparation are being compiled into recommendations that will be available to the public and appropriate authorities in Mid-October 2010. There has been no official change in the status of on-going intercountry adoptions originating from Russia, but prospective adoptive parents should be aware that in some parts of Russia, adoptions may continue to be slowed down or delayed. Many adoption cases are continuing to move forward in the courts. We have heard of cases in which a court appointment has been postponed. If your court appointment is postponed by the court, please provide this information to us by email at RussiaAdoption@state.gov and MoscowConsularR@state.gov. Neither the Department of State and nor the U.S. Embassy have the authority to intervene with the Russian courts on any individual case and cannot provide a letter for use in the courts. Adoption service providers and/or legal representatives in Russia may be able to make inquiries about your case on your behalf with Russian courts. The Department of State’s Office of Children’s Issues has established a special e-mail box for inquiries or comments about adoptions from Russia. Prospective adoptive parents and others with concerns about adoptions from Russia may send their questions to RussiaAdoption@state.gov. Prospective adoptive parents may also provide complete contact information for themselves, including full address, phone number, and e-mail information, the name of their adoption service provider (if available) and details about the child they are planning to adopt. Current list of Adoption Agencies with a "Russian Permit for Adoption Activity" (formerly known as 'accredited'). This information is available in Russian on the official government adoption website Usynovite. Current list of Adoption Agencies with Russian NGO approval, but without a Russian Permit for Adoption Activity (agencies who have a permit also have NGO). The bill now moves to the House of Representatives and is currently sitting in the House Committee on the Judiciary. PEAR supports Senate Bill 1376, the bill to restore immunization and sibling age exemptions for children adopted by United States citizens under the Hague Convention on Intercountry Adoption. This act allows waivers of the immigration immunization requirements for children adopted from Hague partner countries. It also allows children up to the age of 18 to be adopted and admitted into the US if they are siblings of previously adopted children. This bill addresses oversights in the drafting of the Hague Regulations and brings those regulations into parity with existing international adoption law and policy on immunization waivers and sibling adoptions in non-Hague programs. We encourage prospective and adoptive parents to read the bill and actively support this legislation. On July 20, 2010, the US House of Representatives voted to pass HR 5283, the Help Haiti Act of 2010, after agreeing to fast track the legislation and debating the bill for 45 minutes . The bill now passes on to the Senate for consideration. Currently, the Senate is considering its own related bill, S. 3411, where it is sitting in the Senate Committee on the Judiciary. It is unclear what the Senate intends to do from here. Both of these bills are intended to assist Haitian children who arrived in the US on Special Humanitarian Parole for adoption to achieve an easier path to US Citizenship by easing the process granting them permanent resident status. While permanent resident status will assist families with one of the finalization hurdles, it does not rectify the status of the many children who would have otherwise arrived to the US on an IR-3 visa (and thus attained immediate citizenship) had the Humanitarian Parole process not been substituted for the normal process. Though PEAR supports easing the pathway to citizenship for these children, we wish the bills went further to grant automatic citizenship to all children who arrived to the US for adoption via Humanitarian Parole. Since the US government took unorthodox steps to circumvent the usual processes and paperwork in order to bring these children to the US, we believe that the government remains responsible for removing obstacles to their citizenship and to the adoption processes. PEAR remains concerned with the difficulties some families are facing in finalizing their adoptions, obtaining medical insurance, and registering their children for school due to lack of proper documents. We hope that our Federal government will continue to work with the authorities responsible for issuing documents and finalizing adoptions both in Haiti and the US. We encourage prospective and adoptive parents to read the report and actively support this legislation. Document intake will occur on the first appointment day and the consular interview will take place on the next business day. (Note that if you are scheduled to submit your documents on a Friday, you will interview the next Monday, or the next business day if that Monday is a holiday. Also, no appointments will be scheduled on the last Friday of the month.) We generally are able to print and return visas by close of business on the second appointment day. However, we urge you not make final travel plans until you have a passport with a printed U.S. immigrant visa for your child in your possession. If we encounter a technical or other problem which prevents immediate visa issuance, and you have already made firm travel plans, you may be severely inconvenienced. Other Reminders: If one parent needs to sign the I-600 and Acknowledgement of Health Problems forms and wishes to leave Ukraine before the final interview, this service will also be available by appointment only. Please email kyivadoptions@state.gov and we will schedule you for 1:45 p.m. on our soonest available slot and send you a confirmation e-mail that will contain both I-600 and Acknowledgement of Health Problems forms to complete (but not sign) in advance. Note: Access to the Consular Section will be strictly limited to families who have received e-mail confirmation from us for an appointment on a specific date and time. Please do not assume you have an appointment for a specific date or time, even if you requested it in your e-mail, unless you receive confirmation of that date and time from us. We will respond to you and provide you by email with the earliest available appointment date after we receive your request. The man who ran Australia's adoption program with Ethiopia for 20 years has stood down amidst ongoing serious allegations of corruption. ... Adoptive familes have welcomed the news Mr Gebeyehu will no longer be in charge, but have condemned what they say is the Federal Government's "secrecy" surrounding the real reason he stood aside. On 8 July 2010 the ABC published a story titled "Families in the Dark as Adoption Chief Quits" and on 16 March 2010 the ABC published a story titled "Australians Caught in Ethiopian Adoption Nightmare", which reported on matters concerning the Australian Ethiopian adoption program. The ABC has received a complaint from Ato Lakew Gebeyehu claiming these publications were defamatory of him. The ABC would like to make clear that it did not intend to infer that Mr Gebeyehu created false documents or that he otherwise engaged in corrupt or improper conduct or activities detrimental to children in his care or the performance of his functions, and retracts any such inference. The ABC apologises to Mr Gebeyehu and his family for any distress caused by any readers believing he was personally involved in those matters. The ABC also acknowledges that problems in the Australian-Ethiopian adoption program were reported by the parents of three Australian families but that other parents involved in the program have reported positive experiences with the program. In April PEAR reported on the Russian MOE's new list of Homestudy Providers with missing Post Placement Reports. The official Russian MOE statement is here. The official list of Providers missing reports is here. The Russian MOE advises the regional databank operators not to accept post placement commitments from the Homestudy Providers on this list. 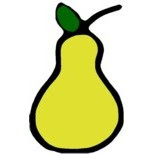 PEAR has translated to English the receiving Country names and the Russian Region names. We created a USA only list have organized by US State to make it easier to use by families and Providers. We are aware that some Homestudy Providers have worked hard to submit or re-submit the post placement reports that are listed as missing. US Homestudy Providers that need assistance in this matter should follow the guidelines of the US Embassy in Moscow. Addresses for the regional databank operators are here in both Russian and English. Please be aware if your Homestudy Provider is listed, it is possible that your homestudy and post placement commitment will not be accepted by the region, or by the judge at court. You should speak to your Placing Agency for advice, and your Homestudy Provider to see if they are taking steps to submit the missing reports. You may need to locate another Homestudy Provider to complete your adoption in a timely fashion. The documents contain a wealth of information about the demographics of adopted children, and their origins as well as trends, laws and policies of sending and receiving states. The information may be quite useful to prospective adoptive families researching country programs as well as individuals and organizations interested in background information on international adoption.